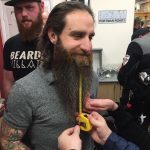 March 19 – Francesco Hair Salon sponsors Elmers Big Parade! We are delighted to be announced as one of the Sponsors for Elmers Big Parade Suffolk – A Wild In Art Event in support of St Elizabeth Hospice. From June to September 2019, Ipswich is set to play host to an even bigger and better art trail than when the pigs went wild; this time featuring 50 individually designed elephants based on the much loved children’s character, Elmer the patchwork elephant. We can’t wait to unveil our very own Elmer sculpture! 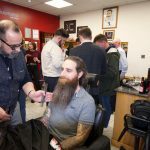 The press were at the salon when Elmer visited and you can read all about it by clicking on the Ipswich Star website here. 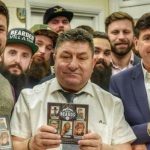 Thank you so much to all who came on the night, including Ipswich Town legend John Wark & The Bearded Villains of East Anglia. 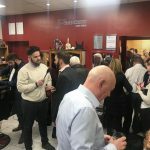 We had over 120 people visit the salon on the night, which is a new attendance record! 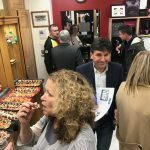 It was great to see so many friends and clients help such a worthy cause. 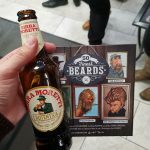 We raised over £400 for the Movember Foundation. Thanks to Hudson Group & Ipswich Audi who donated an ‘Audi A8 for the weekend’ to our raffle. 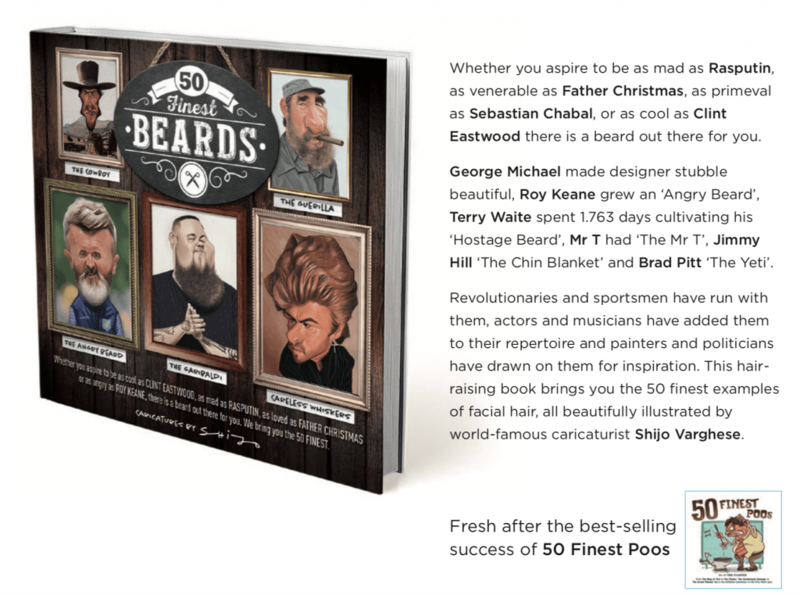 We must also thank Tim Exell – the man behind ’50 Finest Beards book’ for choosing to launch it at our salon – it’s an ideal Christmas gift idea. Pick up a copy at the salon for just £5.99. 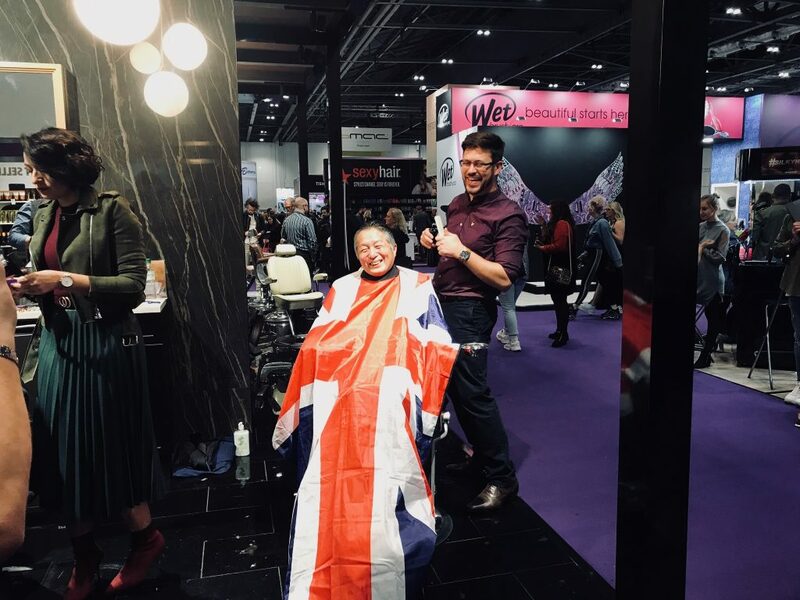 We had a brilliant day at ExCeL London for Salon International 18. 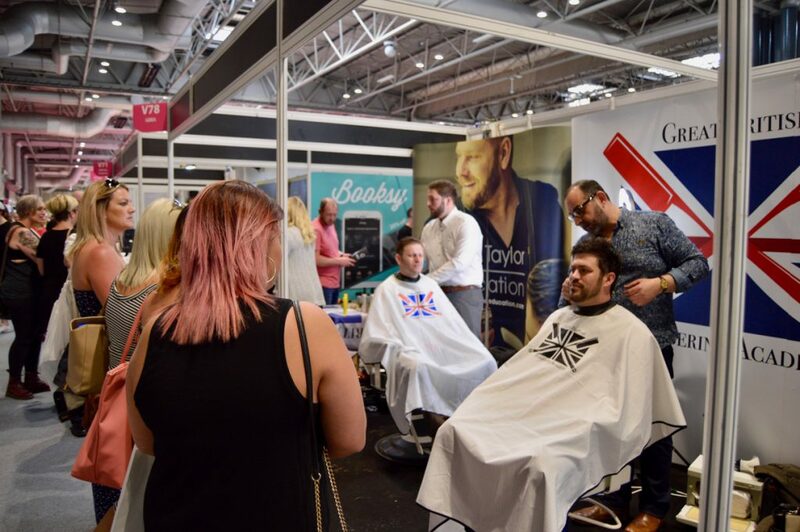 We were honoured to be asked to do some demos on the prestigious Takara Belmont UK stand, working with one of the best known names in the industry Mike Taylor and the Great British Barbering Academy. Even Takashi Hoshina, Managing Director of Takara Belmont had his hair cut by Giovanni! 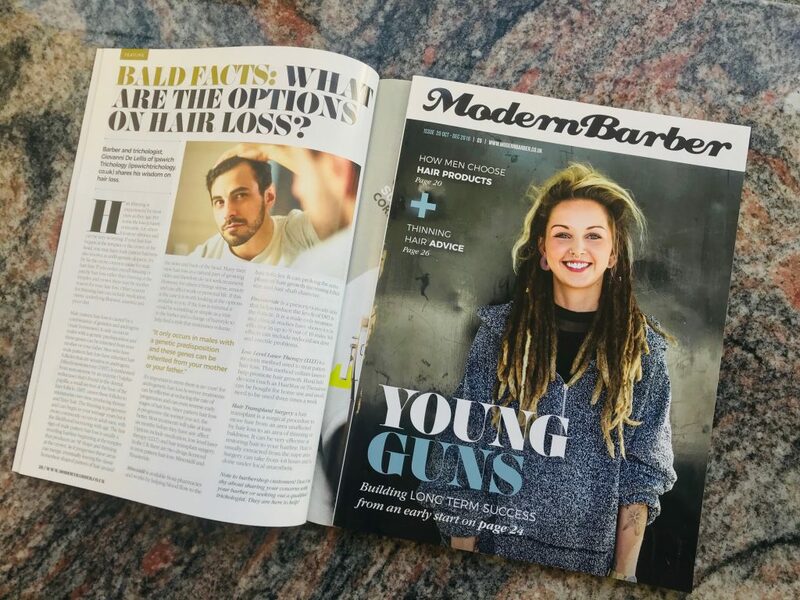 Franco’s son Giovanni, of Ipswich Trichology, has been again been featured in Modern Barber offering advice on scalp conditions and men’s hair loss. 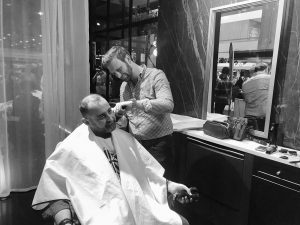 The magazine is devoted to the UK’s barbering industry (and their clients). 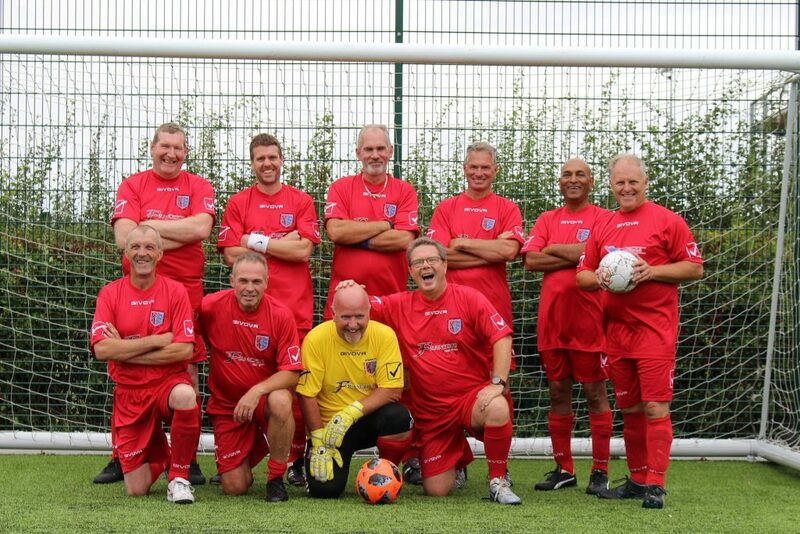 We are delighted to announce that we are sponsoring Ipswich Walking Football Club for the 2018/19 season. Best of luck guys! Thank you to our good friend & football legend John Wark for picking the winner for the ghd Christmas Raffle. The winner was Jacob, our youngest ever winner, who picked up his prize worth £175! 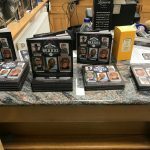 Congratulations, and thanks to all who entered! 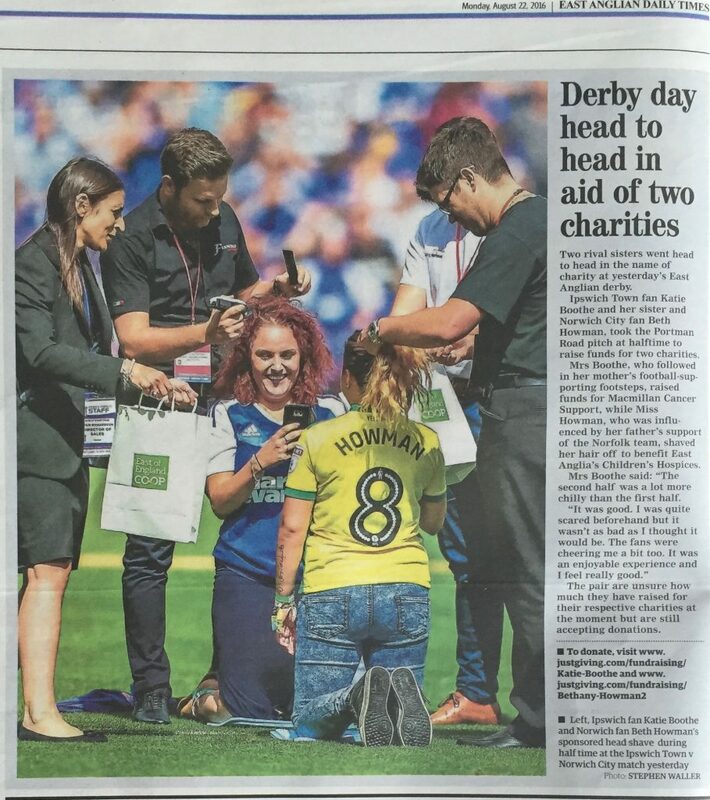 We were delighted to have been asked to help rival sisters Katie Booth & Beth Howman raise vital funds and awareness for charities EACH & Macmillan Cancer Support by shaving their hair off on the pitch at half time of the Ipswich Town vs. Norwich City Match on 22 August 2016. Katie & Beth pictured below with Fabio, Ciro & Giovanni. 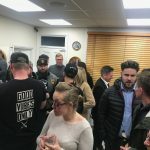 The event was featured in all the local press including BBC Radio Suffolk, Town 102, ITV Anglia News and the East Anglian Daily Times! 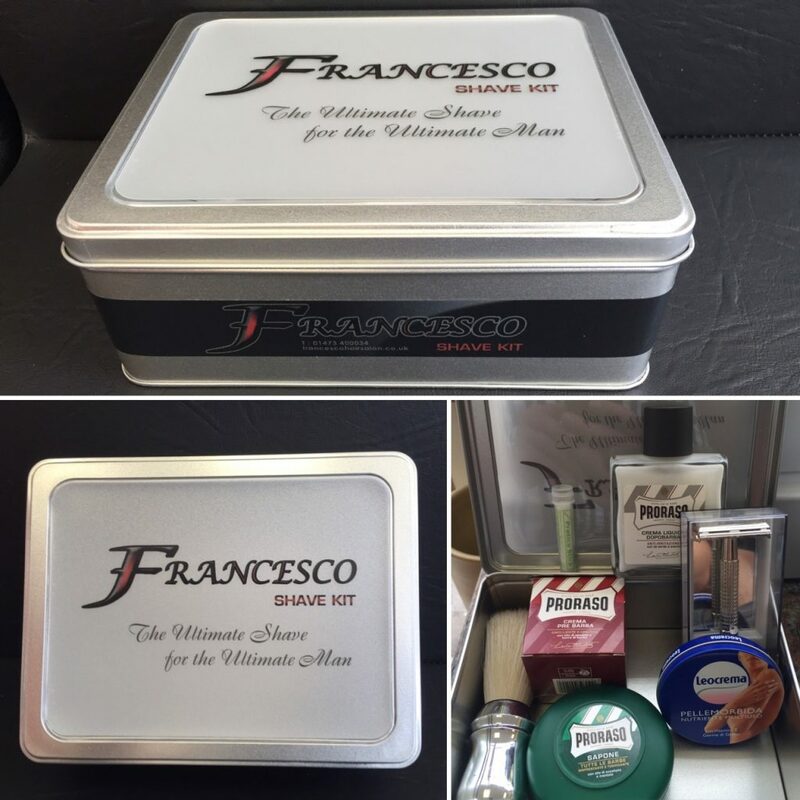 We are delighted to launch our new and exclusive ‘Francesco Shave Kit’ – ‘The Ultimate Shave for the Ultimate Man’. 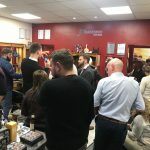 There are two kits available – The Beginners Kit & The Advanced Kit – both kitted out with top quality Proraso Italian shaving products – for more details call or pop into the salon. 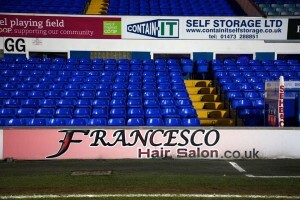 June 16 – New ad boards at Portman Road! 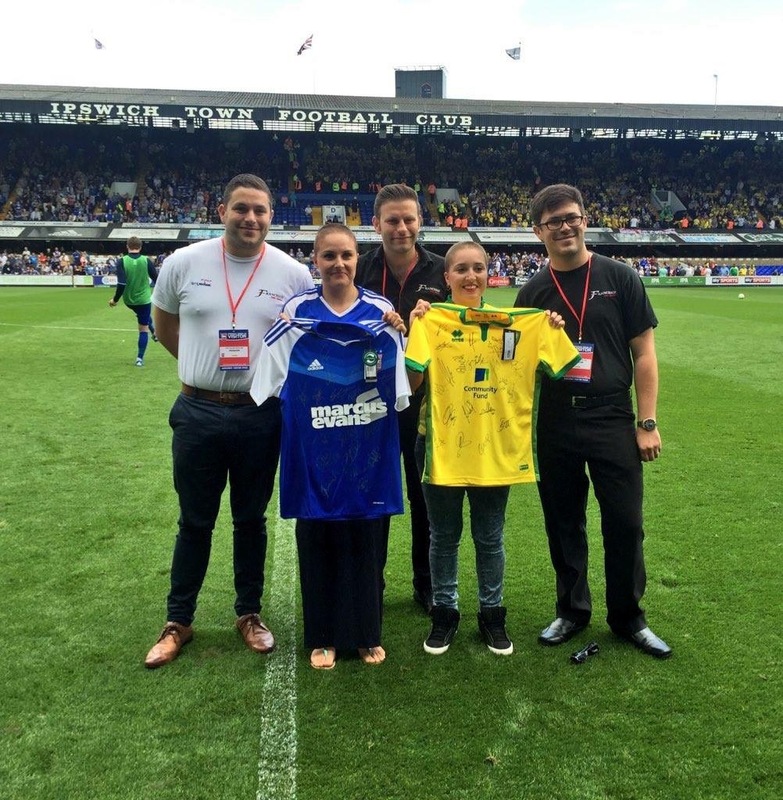 We are delighted to be sponsoring the best team in the world Ipswich Town Football Club for the fourth consecutive season! Our boards can be seen in the East of England Co-op Stand. 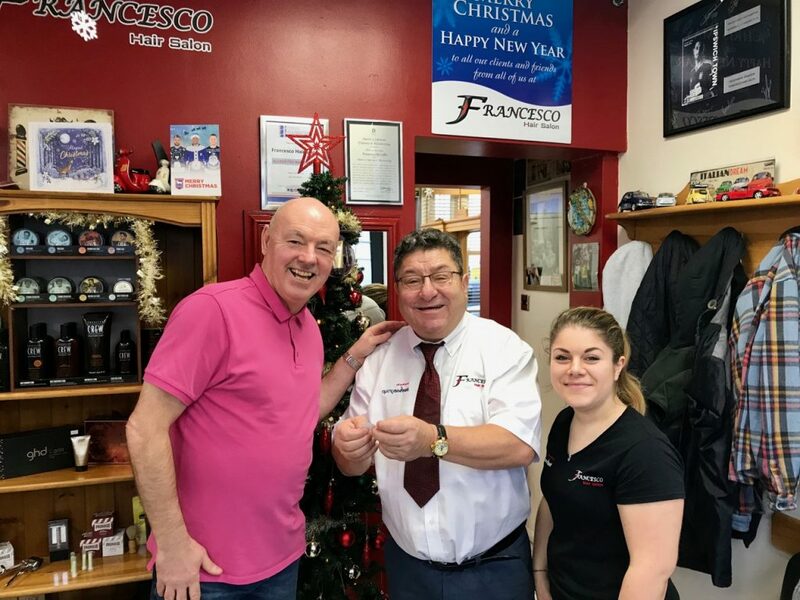 We are delighted to have Ipswich hairdresser Martin Wilson join the team (as an independent contractor) here at Francescos. 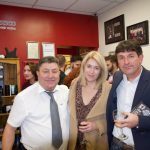 Martin has been hairdressing in Ipswich for over 40 years and brings a wealth of experience to the salon. You can book in with Martin by calling 01473 400034. 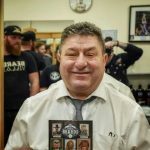 Martin Wilson Ipswich Hairdresser, Martin Clive Hairdresser Ipswich. 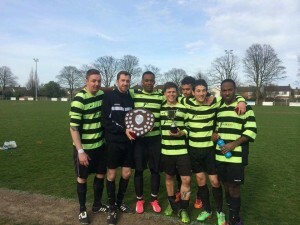 Congratulations to Pauls FC on winning the Suffolk FA Sunday Shield – we are proud to be team sponsors. 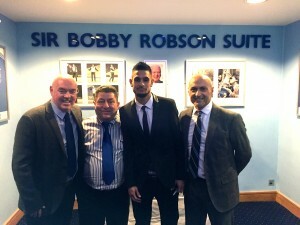 We had a great time at Ipswich Town’s FA Cup replay, attending as programme sponsors. 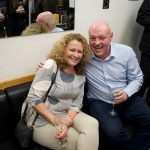 It was a a brilliant night with our friend John Wark at the table, great food, great hospitality – just a shame about the result on the night! 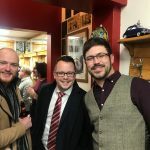 We picked Kevin Bru as our Man of the Match, who is pictured below with Franco and club legends John Wark & Simon Milton. 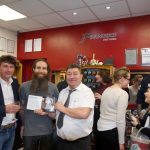 As with previous years we are again supporting Movember UK by offering all Mo Bros in the local area free shaves at the end of November. Be sure to pop to the salon before 2nd December 2014 to claim your free shave. Congratulations to our hair stylists who have taken their original hairdressing qualifications one step further by becoming State Registered Hairdressers. 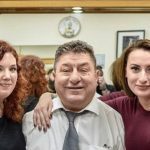 The Hairdressing Council believes in the professionalism of hairdressing and its campaign is to raise standards. Being registered denotes that you are professional, qualified and experienced. Well done girls! 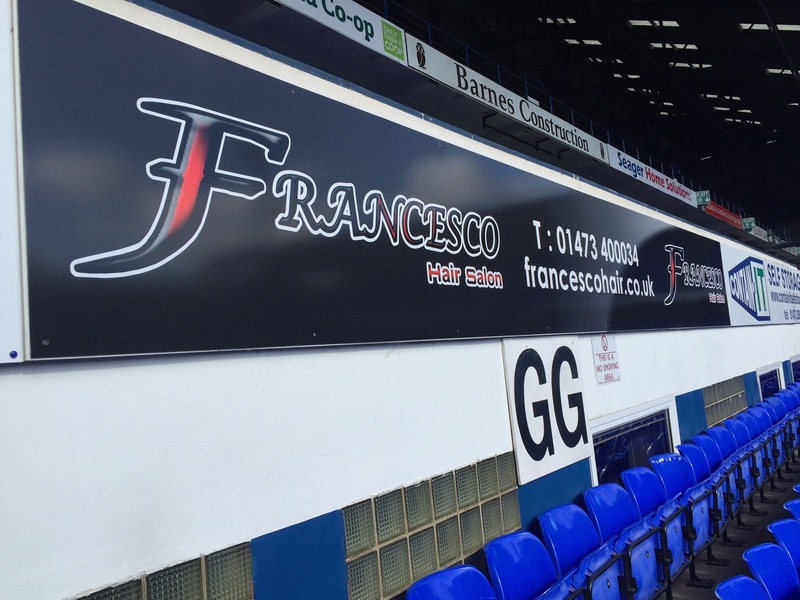 We are pleased to extend our relationship and support of Ipswich Town Football Club with pitch-side advertising commencing from the 2014-15 season. Our board can be seen right next to the home dug-out! This is in extension to us featuring in the match-day programme and team sheets. We wish the team the best of luck for the season! Come on you Blues!! We are pleased to announce the latest winner of our popular ghd raffle held during June 2014 was one of our very loyal customers – Gary. Thanks to all our clients who entered the raffle, and congratulations to Gary! 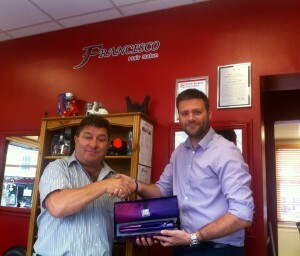 Gary receives his ghd raffle prize from Franco! Mar 14: Giovanni helps judge the WS Hair Academy Competition 2014. 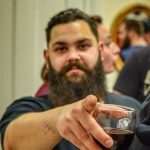 Franco’s son Giovanni, of Ipswich Trichology, was asked to be a judge at the WS Hair Academy Competition held at Wherstead Park. 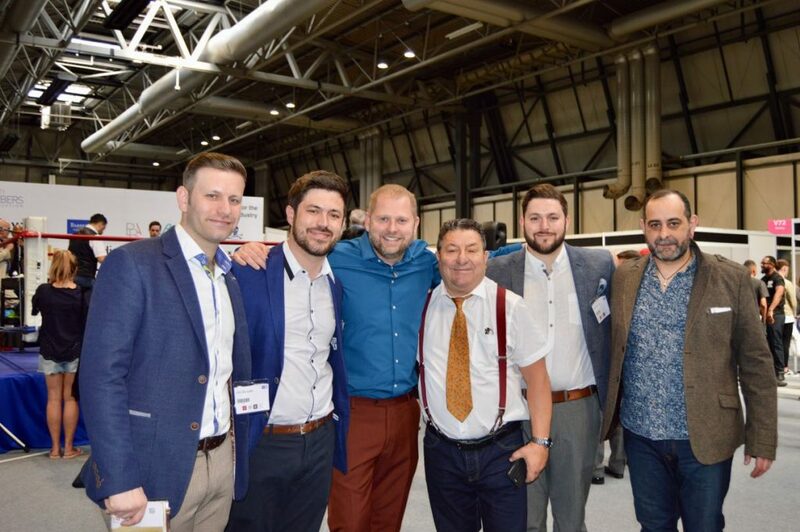 The annual event, hosted by training provider WS Hair Academy, gives its hairdressing students a chance to showcase their work and skills on the big stage. The categories included “Fashionista” where students were asked to create a blow-dry style & finish, “Caught on Camera”, where students created hair-up worthy of the front page cover, “Feathers & Furs” was focused on creating an avant-garde look with a focus on animals and finally “Barbering – Best of British” had students creating a gents cut & finish. Well done to all who took part. 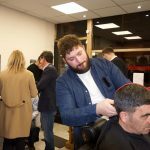 We are very proud to have just become one of the first in the country to win accreditation under the British Barbers Association. 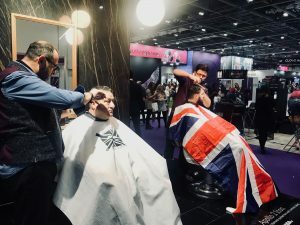 Mike Taylor, BBA director, said “With the influx of so many unqualified barbers and growth in fly-by-night barber shops, it is important that the public has a means to identify professional barbering enterprises. This is what the BBA Accreditation Scheme provides”. 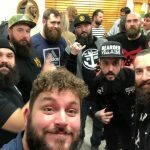 Nov 13: Franco – The Master Craftsman! 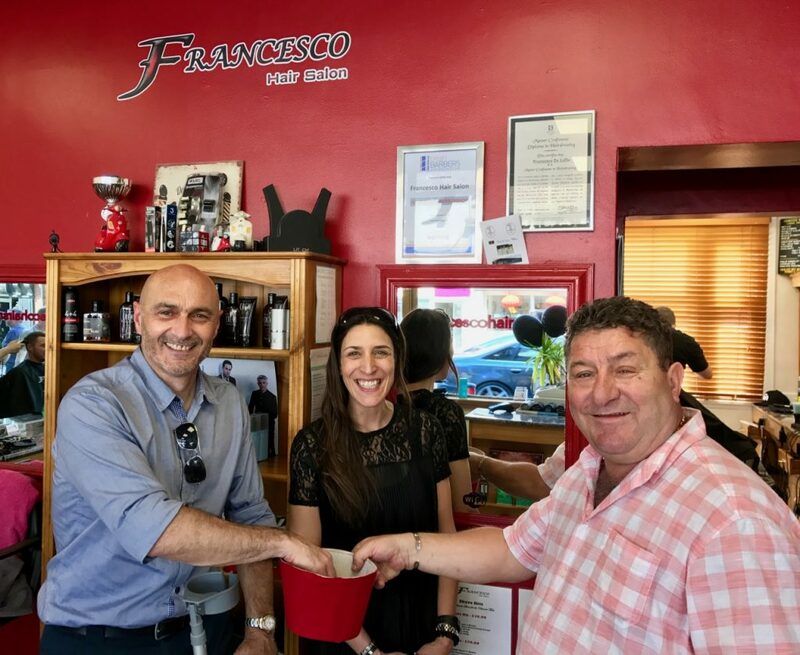 Congratulations to the boss – Franco – who as a State Registered Senior Hairdresser, was recently awarded the prestigious Master Craftsman Diploma by The Hairdressing Council. 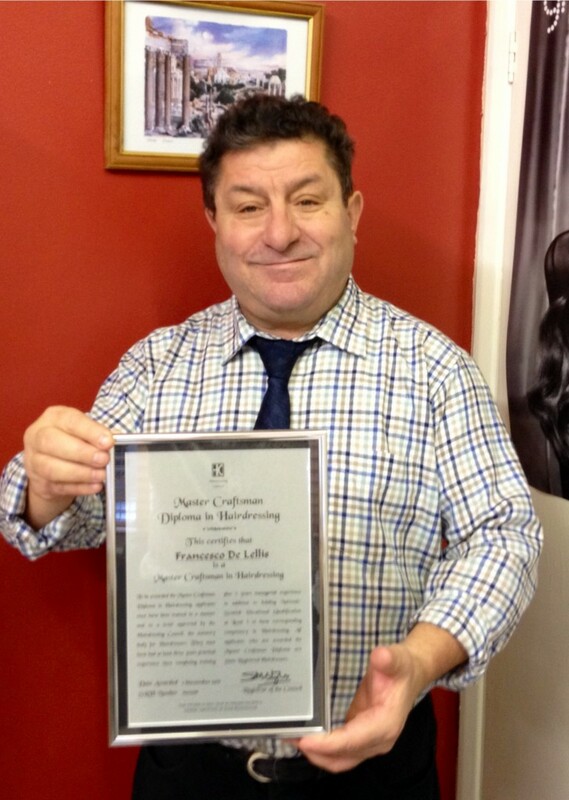 .The Master Craftsman Diploma is among the world’s more prestigious hairdressing awards. 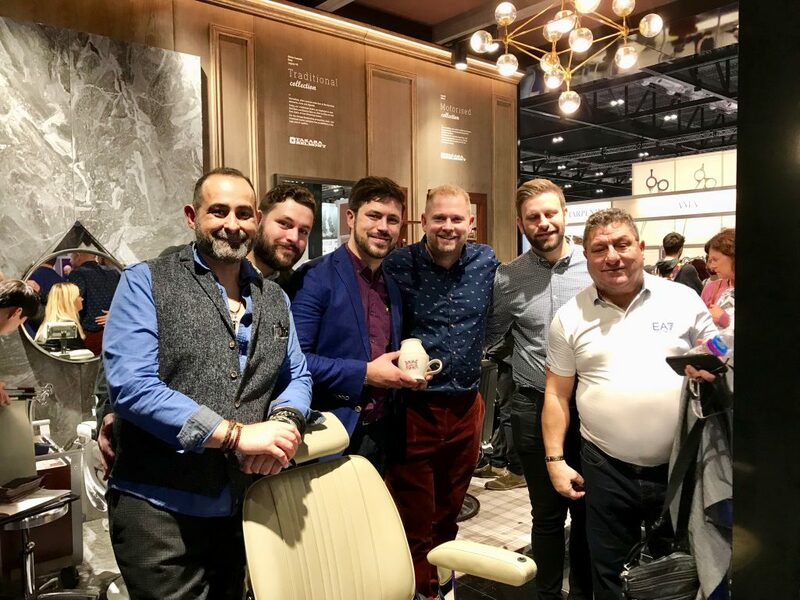 Only State Registered Hairdressers with management and training experience – in fact the cream of British hairdressing – are awarded the diploma. 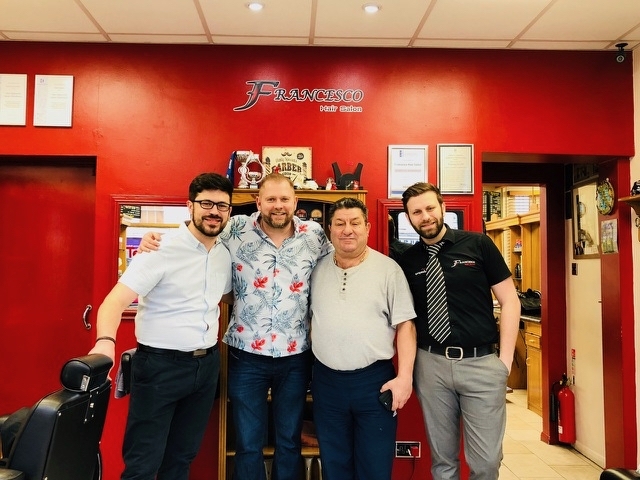 Franco has been a hairdresser since 1970 and run his own business for over 35 years! 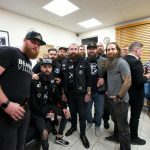 Nov 13: Movember a total of £750 raised for charity. 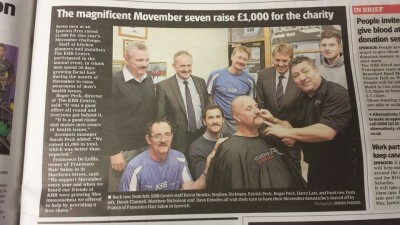 The Mo Bros at Francesco’s managed to match last years efforts raising around £750 for Men’s Health Charities. We would like to thank all of our clients for your generous support, donations and mickey-taking throughout Movember! Nov 13: Francesco Hair Salon FC wins Movember Tournament! 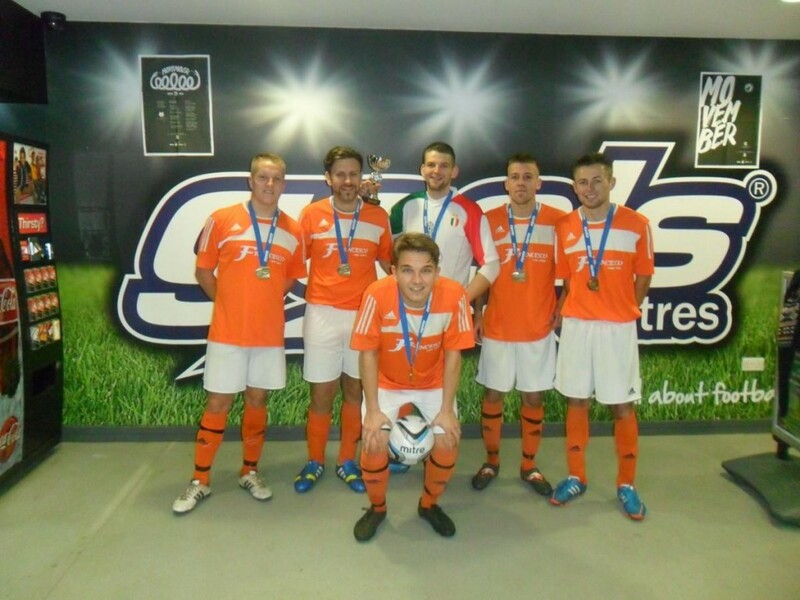 Congratulations to the 6-a-side Francesco Hair Salon team who took part in the Movember tournament at Goals on the 24th November 2013. They remained unbeaten in the tournament and beat Merry Men on penalties in the final. It was like winning a World Cup again! Forza Francesco! 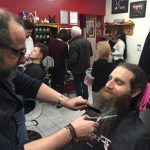 Following our successful fund raising last year, we are delighted to be approved as Official Mo Rated Barbers for Movember this year (2013). 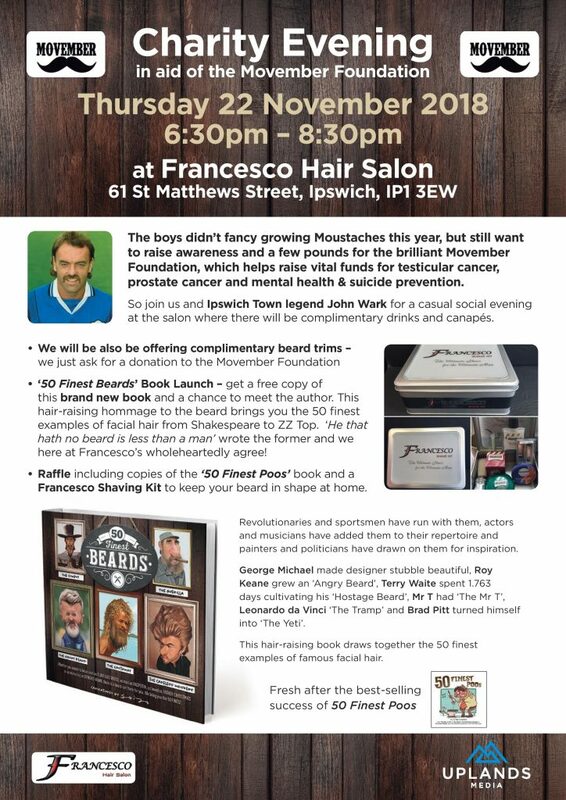 As part of the efforts this year we will also be at the Goals Ipswich centre on Thursday 31st October from around 6:30pm offering shaves for the start of the Mo growing in exchange for donations…See you there! 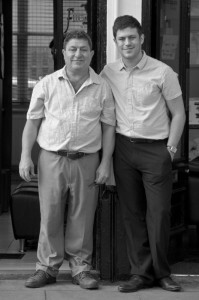 Ipswich Trichology Hair & Scalp Clinic, founded in 2007 by Giovanni, has now moved next door to a newly refurbished and dedicated premises (63 St Matthews Street, Ipswich). 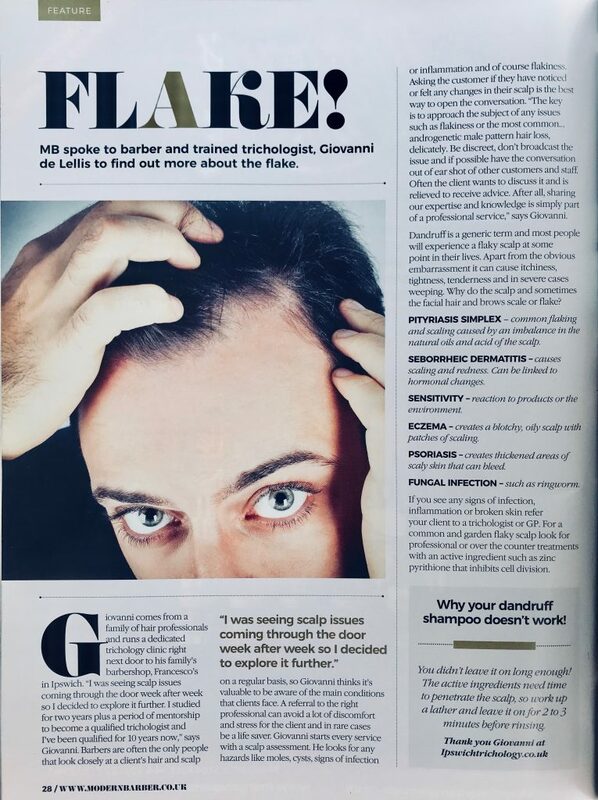 Specialising in diagnosis, treatment and advice of hair loss and scalp disorders in both men and women, it is the only trichology clinic in Suffolk. We offer 10% student discount to students with a valid NUS card on all our hairdressing services. This offer is not valid with any other offer. 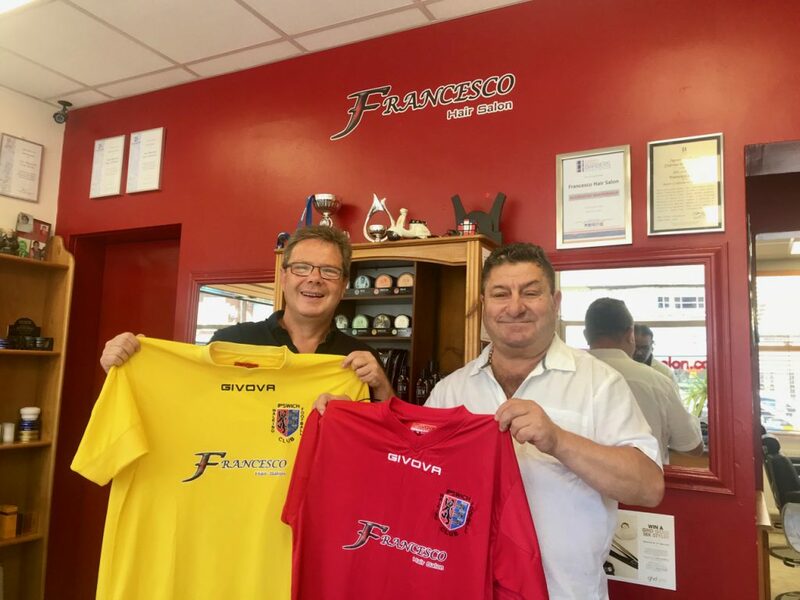 Franco wishing his son Giovanni well on opening day of Ipswich Trichology.